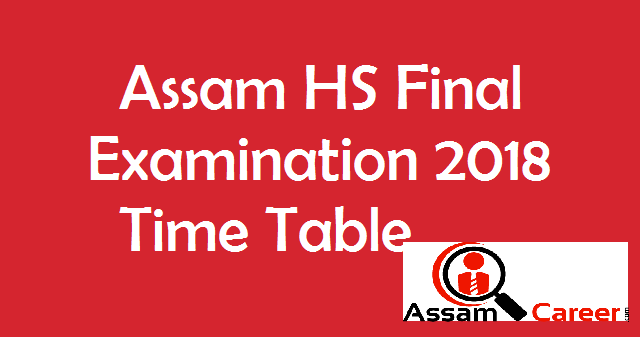 Assam Higher Secondary Final Examination 2018 timetable or routine has been officially announced by Assam Higher Secondary Education Council and is available for download at its website. In addition, the programme is also published in various regional Assamese, English and Bengali newspapers. 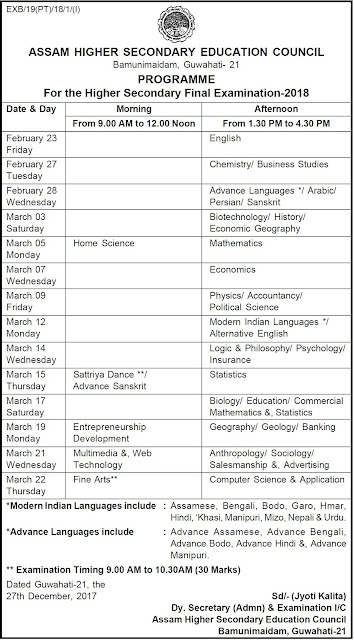 The exam will be conducted in two sessions: morning and evening session. Morning session is from 09:00 AM to 12:00 PM and afternoon session from 1.30 PM to 4.30 PM . The examination will start from 23rd February 2018. 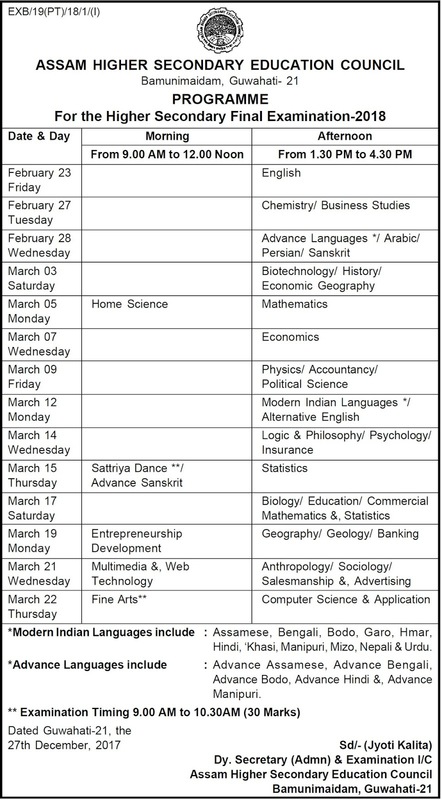 The detailed programme is given in the following image.